I picked up this book on my recent holiday to Tintagel, in Cornwall. Given the King Arthur connection, there were a lot of history books available in most of the tourist shops, and this one caught my eye. A literary time machine that takes readers into the sights, smells, and tastes of the fourteenth century—a book that is revolutionary in its concept and startling in its portrayal of humanity. The past is a foreign country. This is your guidebook. A time machine has just transported you back to the fourteenth century. What do you see? How do you dress? How do you earn a living and how much are you paid? What sort of food will you be offered by a peasant or a monk or a lord? And more important, where will you stay? 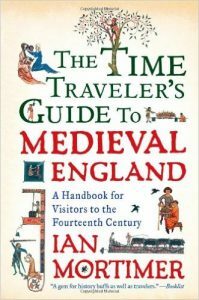 The Time Traveler’s Guide to Medieval England is not your typical look at a historical period. This radical new approach shows us that the past is not just something to be studied; it is also something to be lived. Through the use of daily chronicles, letters, household accounts, and poems of the day, Mortimer transports you back in time, providing answers to questions typically ignored by traditional historians. You will learn how to greet people on the street, what to use as toilet paper, why a physician might want to taste your blood, and how to know whether you are coming down with leprosy. The result is the most astonishing social history book you’re ever likely to read: revolutionary in its concept, informative and entertaining in its detail, and startling for its portrayal of humanity in an age of violence, exuberance, and fear. I’m pleased to say that the book lives up to its blurb. Learning about everyday life as if you yourself are part of the medieval world brings the past to life in a way that simply reading a textbook does not. As a writer, it’s also a great book from a research point of view. The history itself is confined to the 1300s in England, with passing references to the Continent. However, it would also be a good resource for someone who wishes to write a fantasy book set in the middle ages. The detail would be very helpful for worldbuilding: for example, the different kinds of food, clothing, building materials, the layout of houses, etc. The book also covers laws, customs, travel, entertainment and many other subjects. If you are looking to base a story on a medieval style situation, you’ll find no end of detail here to help you. 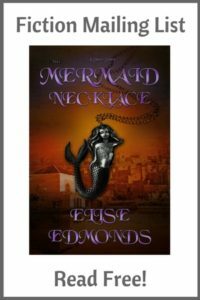 The author’s style is very informal, and used a mix of second person (describing you travelling around these towns) and general conversational travelogue style. I had to take frequent breaks whilst reading it as there is vast amount of information to take in, but it was good for picking up a reading a quick section in a spare ten minutes here and there. I’m now sold on the idea of books of everyday living for use as research for fantasy writers, and I’ve picked up something similar by a different author on the Victorian period, which I’m looking forward to reading. No. There are two sections of glossy plates with medieval art pictures, illustrating some of the points made. But no diagrams or drawings at all. I’ve got this book too. I think, like you, I picked it up while visiting something historic. It’s really accessible, isn’t it? History books can spark off all sorts of ideas. For a period in between Medieval and Victorian, I recommend “1700 – Scenes from London Life” by Maureen Waller.” And seeing you have a King Arthur book reviewed as well, have you come across “The Pendragon Chronicles” ed. Mike Ashley? Lots of Kind Arthur stories, mostly 20th C. One of my favourite books of all time, with some really beautiful writing.